Whywait Plumbing services have been your professional Logan Plumber for over 41 years. We have been voted as one of the Best Plumbers on the Gold Coast and Logan areas in 2002, 2004, 2006 and 2011. We are Licensed Plumbers, Drainers and Gas Fitters providing plumbing services to quality conscious and service orientated clients who need maintenance, installation and emergency help. Unlike many other plumbing companies Whywait provides guaranteed, professional service 24 hours a day, every day of the year that will exceed your expectations. See here for our plumbing guarantees to you. Today Whywait Plumbing’s administration office, warehouse and workshop are all centrally located at 75 Waterway Drive, Coomera. Whywait Plumbing has been Logan’s domestic and commercial plumbers for over 41 years. Servicing homes, offices, restaurants and industrial estates, our commercial plumbers are experts in all areas of commercial plumbing and gas fitting. 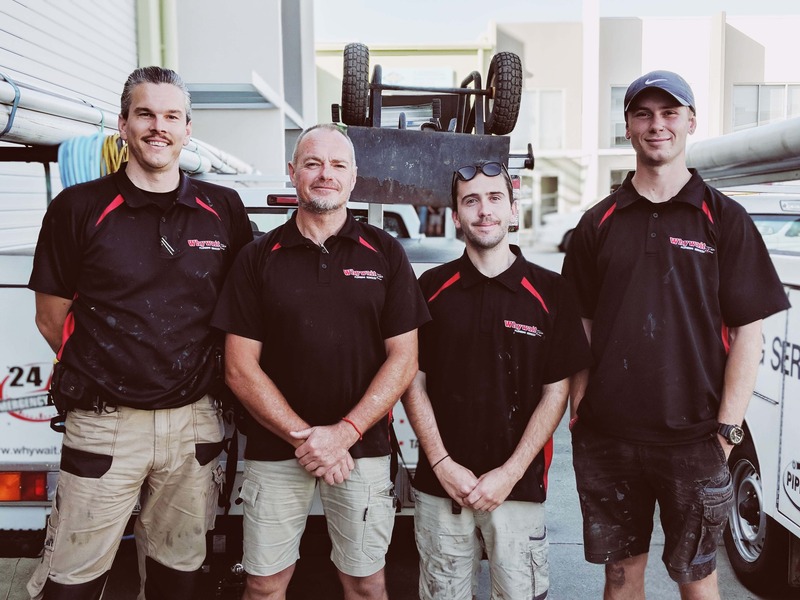 As local Logan Plumbers we are able to provide a same day plumbing service attending to all plumbing maintenance, servicing, installation and emergency plumbing services. We attend to plumbing jobs in Logan daily, so it’s likely you would have seen our van on the road in your area!